Looking for our manufacturers site? Fresh Keeper/Monterrey is the industry leader in translucent, colored containers. 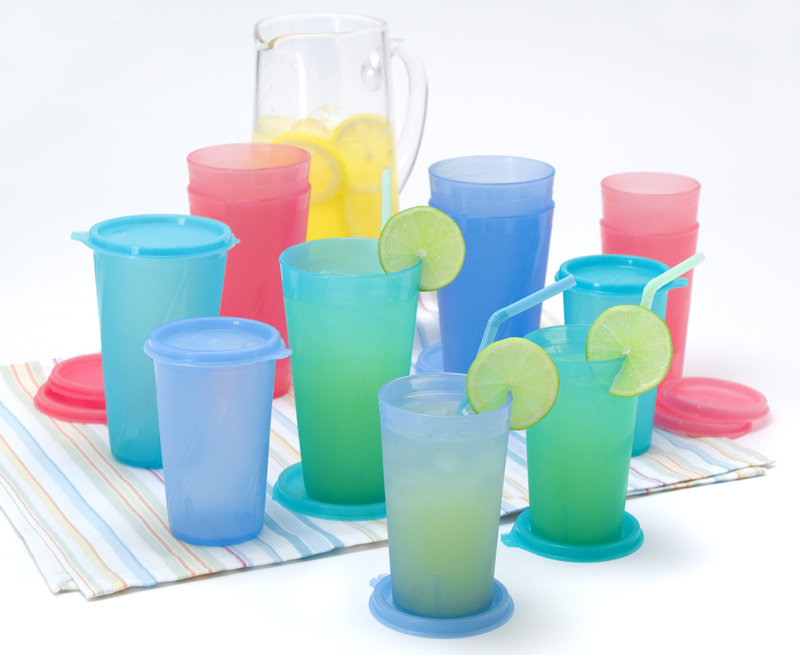 Sets with translucent, CITRUS containers and matching lids permit the user to match the lid to container by color, an added convenience when searching for the right lid. Another exclusive feature of Fresh Keeper/Monterreyt’s products is our patented DATE-SET feature. A calendar showing the weeks of each month is molded into the rim of most of our round containers, while the lid has a date-set pointer. To track food storage time over extended periods, such as in the freezer, simply align the lid pointer with the date on the container rim. • Airtight, “burpable” seal to extend food freshness. • Patented Date-Set feature to track storage time. • 40% thicker container wall for greater durability. • Attractive swirl pattern and vibrant, translucent colors for better appearance. • Citrus sets permit easy lid/container match by color. • Even with the superior seal, the lid is easily removed without spilling contents. • Containers nest inside one another to save cabinet space. • Made only in the USA. No other food storage system offers this set of features and benefits to its customers. © 2019 Sunco Plastics. All rights reserved.